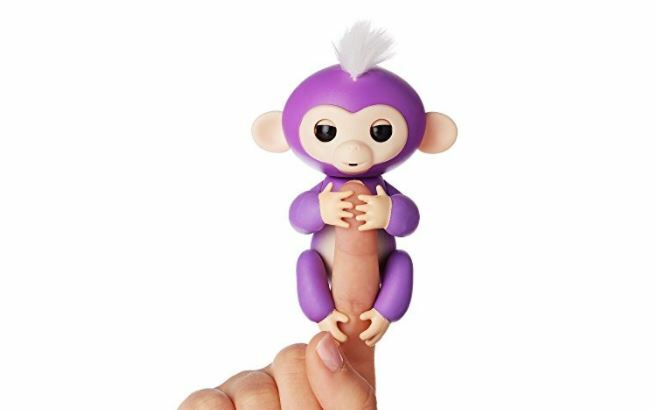 Run don’t walk over to get this WowWee Fingerlings Interactive Baby Monkey – Mia currently in stock and selling for $14.99. *PURPLE IS NO LONGER IN STOCK AT THIS PRICE BUT THE WHITE ONE IS. * View the deal HERE. When slipped onto a finger, this battery-operated toy with touch sensors reacts to your tap, sound or motions with blinks, movements and endearing babble.